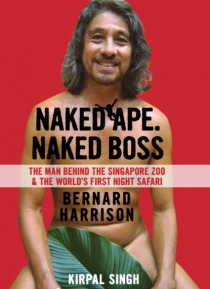 Bernard Harrison is credited for having shaped Singapore's most attractive and iconic leisure destinations - the Singapore Zoo and the Night Safari. For nearly 30 years he was intimately involved and engaged with the transformation and creative developments of these nature parks. This book explores Harrison's journey and focuses on the critical phases which served as moments of reckoning. How easy… was it for this passionate and determined man who couldn't and wouldn't take "e;no"e; for an answer to do what he really and truly wanted? What shaped his personality? What problems did he encounter in wanting to create a zoo and a night safari that Singapore could be, and is, proud of? In both the personal and the professional fields, his positioning of certain beliefs and value-systems are put in context and readers will be made aware of the intimate drivers of his passions.